Navigating through the dark, Pacific morning under strict radio silence the Japanese aircraft carriers Zuikaku, Kaga, Soryu, Hiryu, Shokaku and task force flagship flagship Akagi came about into the wind on mild seas. Deck crews stood ready at the wheel chocks of idling attack aircraft with exhaust flame flickering from their cowlings. Dawn would break in minutes. Communications officers on the high decks changed signal flags to indicate the attack was underway. Chocks were pulled and throttles advanced as 50 Nakajima Kate dive bombers began their short take off rolls from the carrier decks. They were laden with massive 1,760-pound armor-piercing bombs. Another 40 Kates carrying top-secret long-finned, shallow water torpedoes thundered forward on the flight deck, drowning out the cries of “Bonzai! Bonzai!” from the deck crew. Secret Operation Z was under way. The Japanese surprise attack on Pearl Harbor. 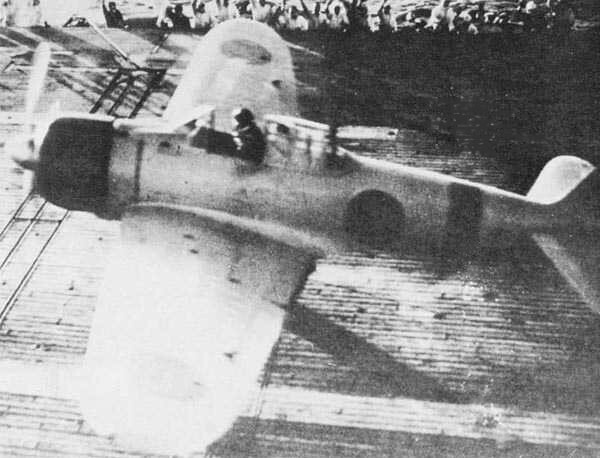 Flight Officer 1st Class Shinpei Sano launches from the flight deck of the Akagi in an A6M2 model 21 Zero after sunrise in the second attack wave on Pearl Harbor. Sano died in the Battle of Midway in June, 1942. My mother, Velma Demerly, was in Lafayette, Indiana on December 7th, 1941 when the Japanese attacked Pearl Harbor. She is 92 now. The video above is a brief interview of her recollections of hearing the news that day. Her response typified the American misunderstanding of the gravity of the attack and the U.S. isolationism at the time. Remembering the Pearl Harbor attack is critical to our current political and military doctrine. The Pearl Harbor attack along with the 9/11 terror attacks stand as examples of why the U.S. must maintain strategic defensive capabilities and constant surveillance miles from our borders. It has been 72 years ago today since the first bomb fell on Pearl Harbor. The lessons learned from that tragic attack remain as relevant now as today’s headlines. Unless we remember we are condemned to repeat the past.